Bean bags make for great summer fun no matter what your age! Check out our favorite bean bag tutorials and ideas for playing all kinds of backyard bean bag games. 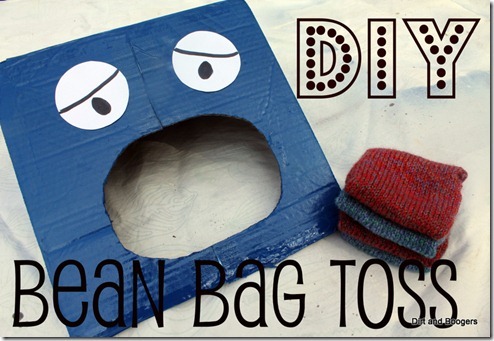 Make a pile of simple bean bags for play with this DIY Bean Bag Toys tutorial from The Thirst. 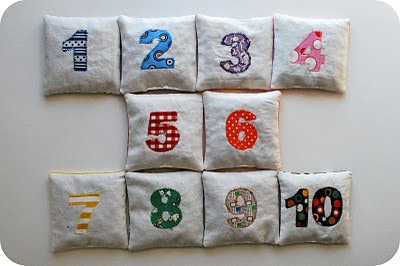 Add numbers to simple bean bags with this Counting Bean Bags tutorial from Chez Beeper Baby, and play a game of hoola-hoop ring toss. Who says bean bags have to be simple squares? 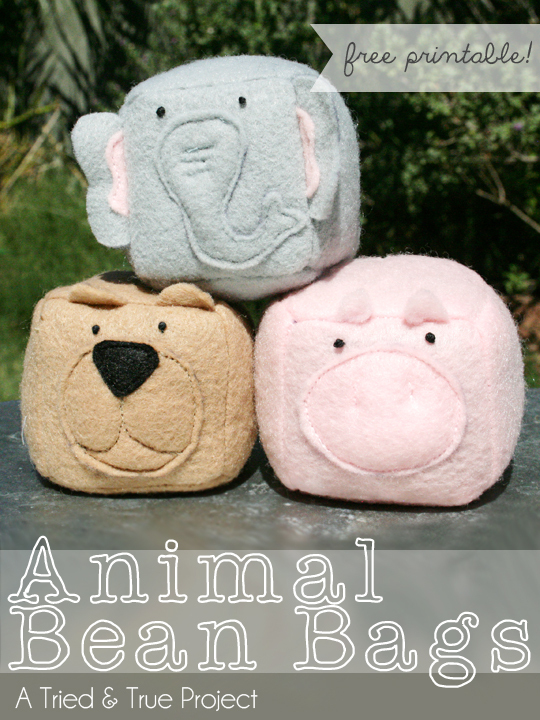 Make a set of bean bag friends with Tried & True’s Animal Bean Bag free pattern and tutorial. How cute is this guy, and how much fun could you have with a backyard game of froggie bean bag toss? 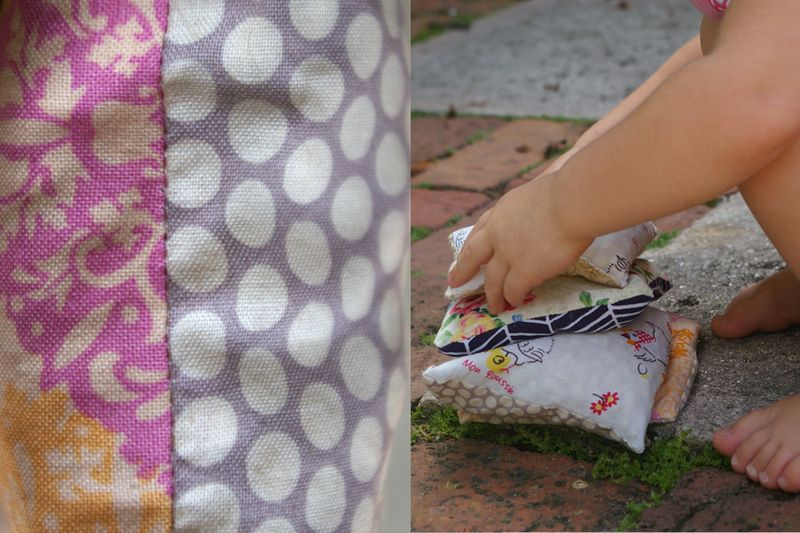 Get the Frog Bean Bag DIY from Little Blue Boo. Now that you’ve got some great ideas for making a set of playful bean bags, what games would you like to play? 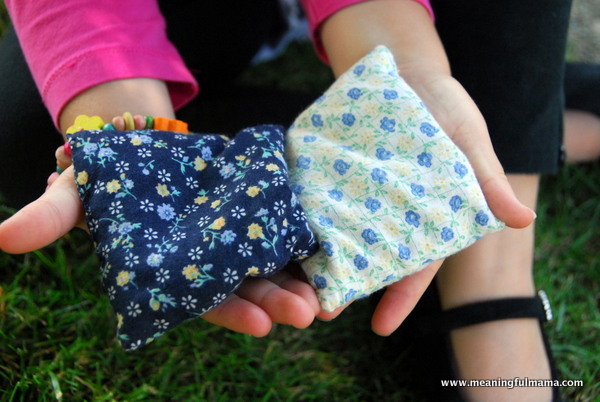 Try any one of these DIY toss games for backyard bean bag fun! 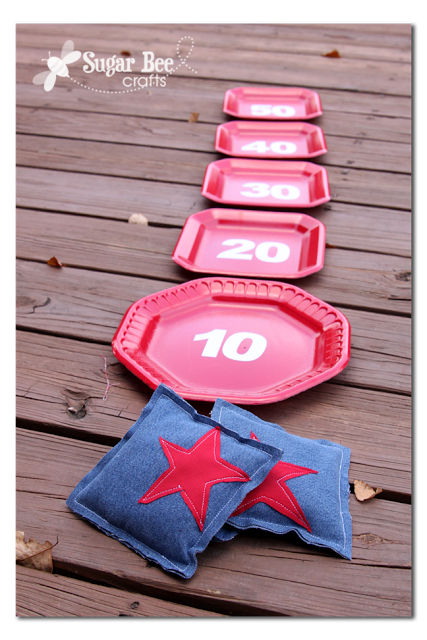 Turn some extra paper or plastic picnic plates into an instant bean bag toss game! Get the DIY from Sugar Bee Crafts. If you’re handy with wood, you can make your very own backyard bean bag toss game perfect for all ages. 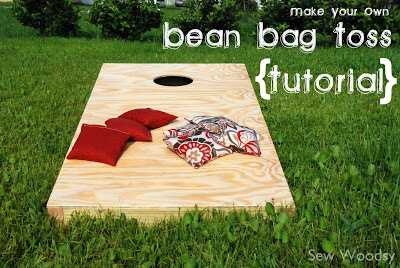 Find the Bean Bag Toss Game Tutorial at Sawdust Girl. If you’re not handy with wood, use an old cardboard box to make a backyard bean bag toss game. Follow Amanda’s Homemade Bean Bag Toss tutorial to make one. 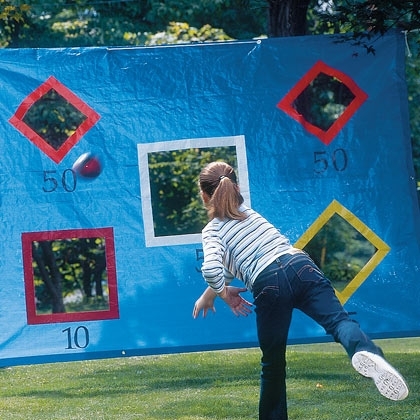 Take an old tarp, tablecloth or sheet and turn it into a tossing target game. Get the DIY Passing Practice from Spoonful. Find 10 great kids games to play with bean bags at Meaningful Mama. Another list of awesome games for bean bags at PlayWorks. And another list of fun bean bag games at Childmade!